Whether you like your doughnuts with a hole in the middle, filled with jam, or glazed with icing, doughnuts are a delicious treat that we all love. 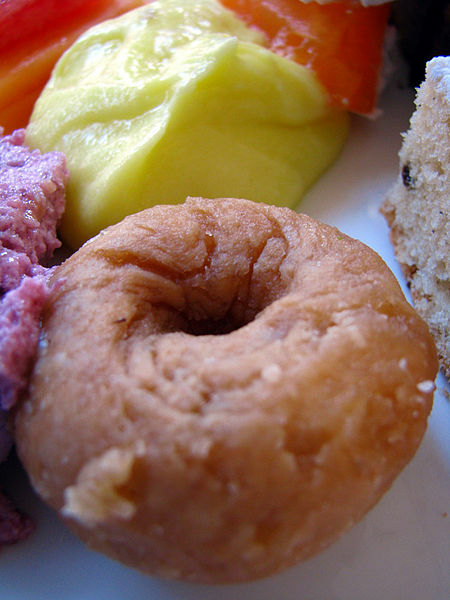 The history of doughnuts goes back hundreds of years, but do we know who invented the doughnut? 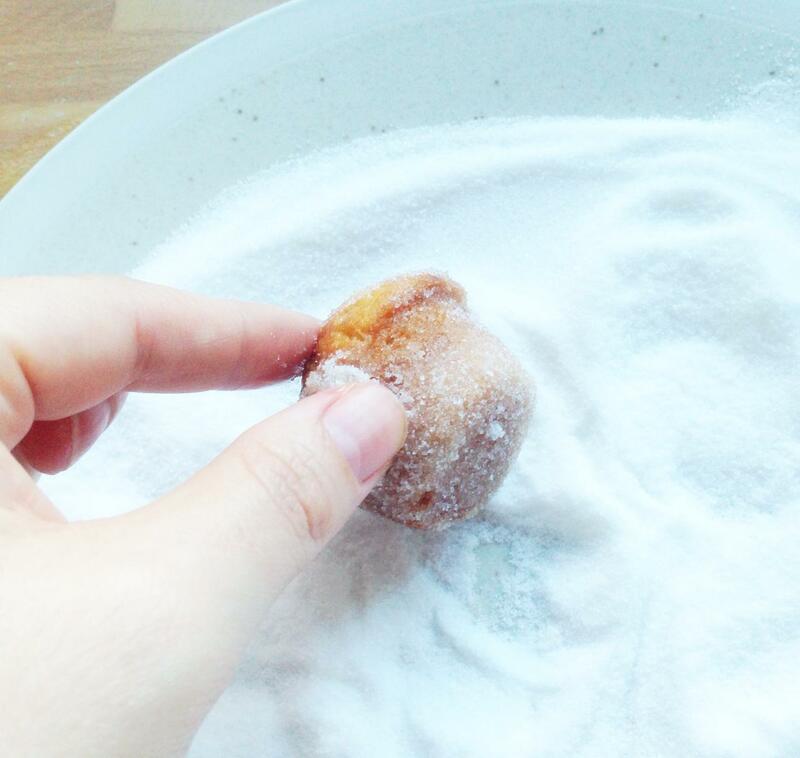 Let’s find out and then we’ll make some mini duffins–a cross between a doughnut and a muffin–that are easy to make. Who Made the First Doughnut? 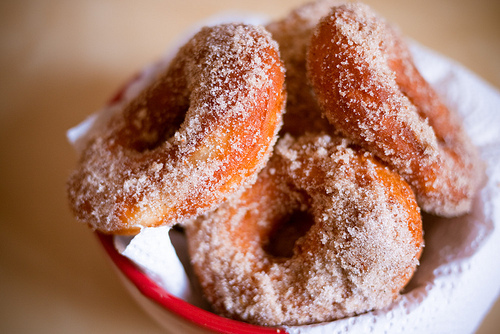 The first doughnuts were made by Arab cooks in Medieval times. They would fry small bits of yeasted dough and would cover them with sugar syrup once cooked. By the 1400s these delicious treats had made it to Europe, and by the early 1600s Dutch settlers had introduced the doughnut to America. 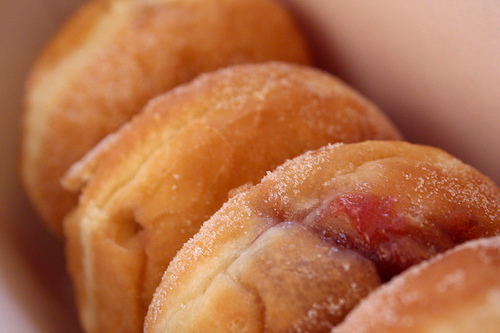 The first jam doughnut was invented in Germany in the late 15th century, and by the 1800s it was commonly called a Berliner–the jam doughnut is still called this in Germany today. The first ring doughnut, though, was invented by an American sailor called Hanson Gregory in 1847. By this time, egg had been added to the original doughnut recipe, and although it made doughnuts really yummy it also meant that the dough was more sticky so it was hard to get the inside cooked very well. It was usually raw in the middle–yuck! So Hanson Gregory decided that he would just get rid of the undercooked part of the doughnut, and used a tin pepper pot to cut a hole out of the middle. In Spain and Mexico you can buy a doughnut called a churro–also called a Spanish doughnut. 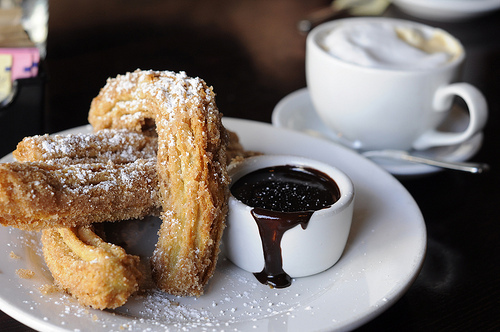 Churros are made from dough that is piped out into long stick shapes. The dough is fried and then they are usually coated in sugar and cinnamon. They are often served at breakfast and taste even yummier when dipped in hot chocolate. The yum yum is also a stick type of doughnut. The dough is twisted, fried, and covered in loads of runny icing while warm, so it has a shiny look when finished. 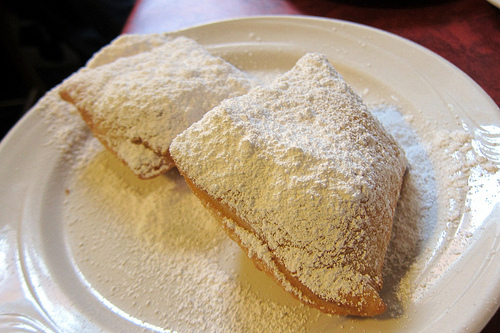 Beignets are made from choux pastry that is deep fried, and they are usually either square or triangle in shaped. They are finished with a huge amount of icing sugar served on top. This is what Tiana makes lots of in Princess & the Frog. These are traditional doughnuts eaten in North India as well as Pakistan. Balushahi are fried in butter and are then soaked in a sugar syrup. Sometimes spices are added. In South India a similar doughnut it served, but this is called a Badusha and it doesn’t have a hole in the middle. 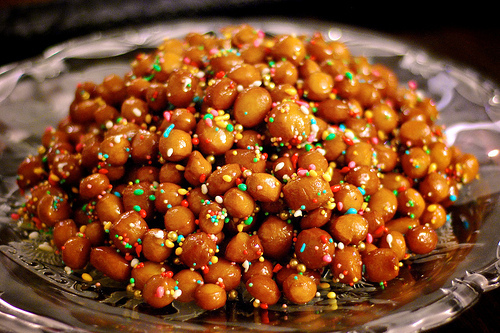 Struffoli are really small little doughnuts, only about the size of marbles. They are crisp on the outside but soft in the middle, and are usually served with honey, cinnamon and sprinkles. 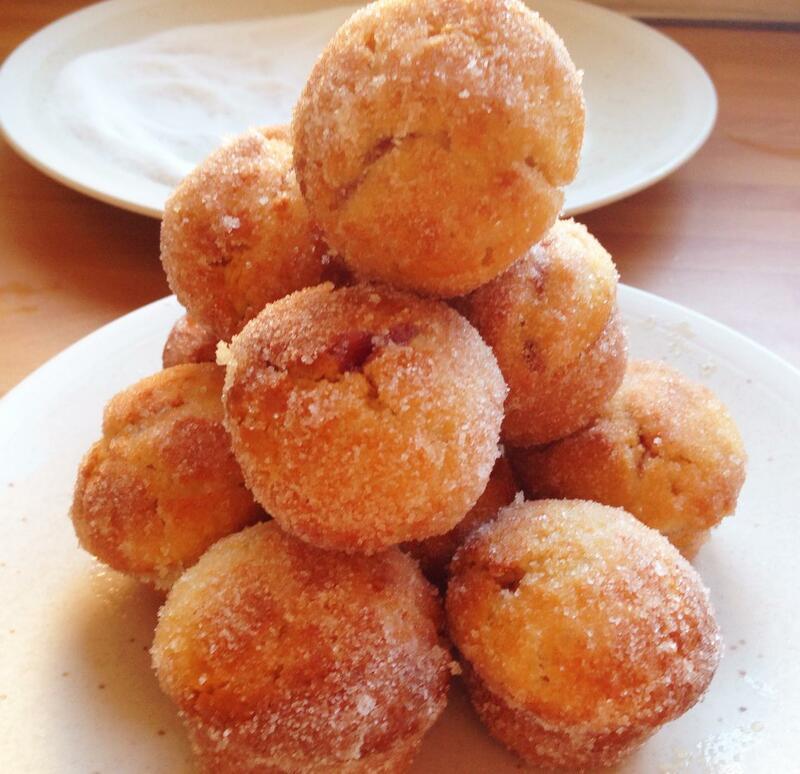 A duffin is the most recent type of doughnut to be invented. 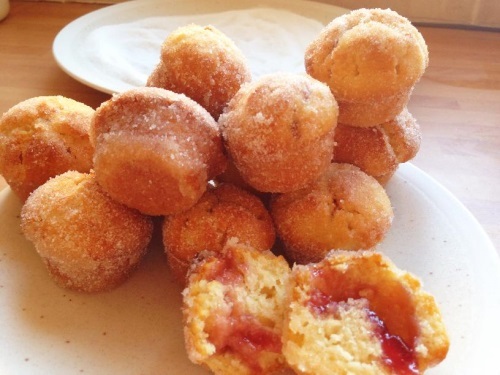 In fact it’s a cross between a jam doughnut and a muffin, which is why it has such a funny name. The good news is that they are much easier and safer for kids to make than doughnuts are, as nothing gets fried. 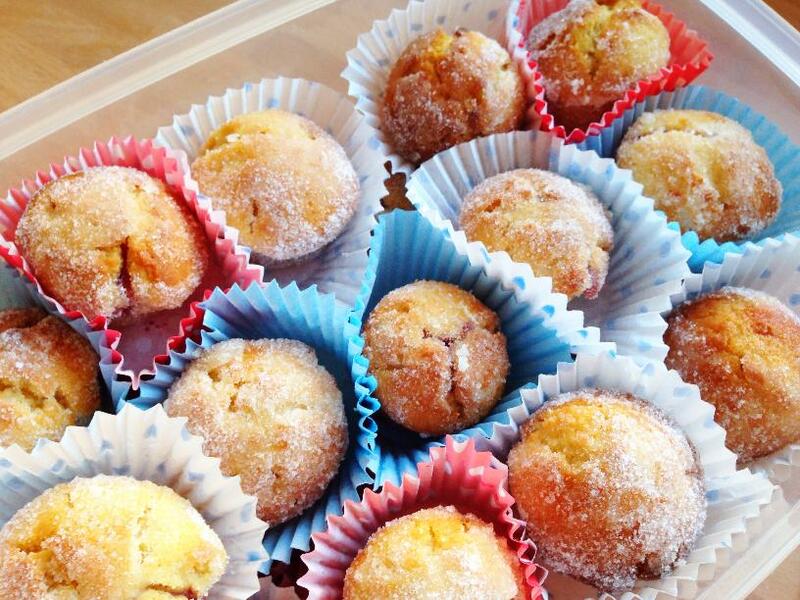 And our version is for mini duffins, so they are even more perfect for Mini Yummers to eat too. 1. 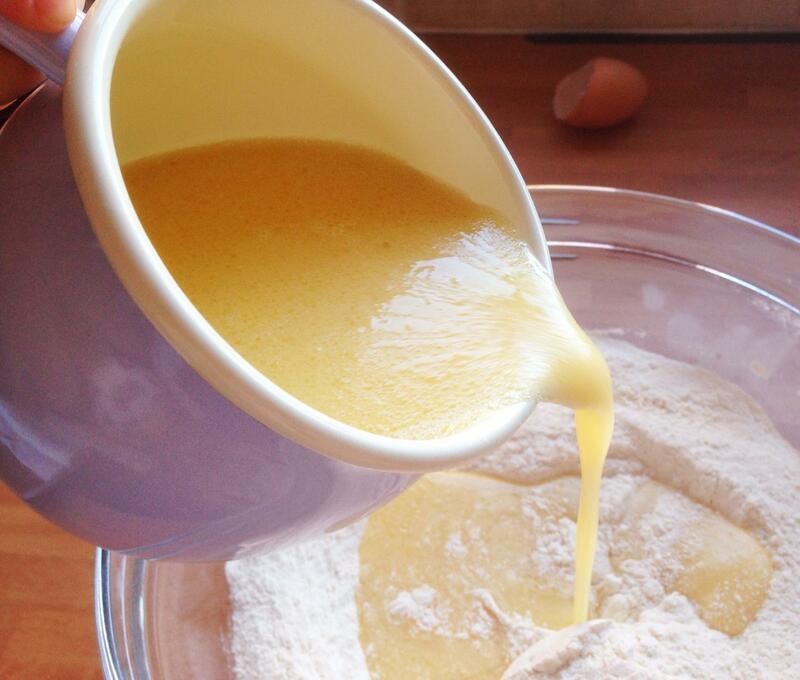 Measure your milk and oil into a jug, and whisk the egg and vanilla in. 2. 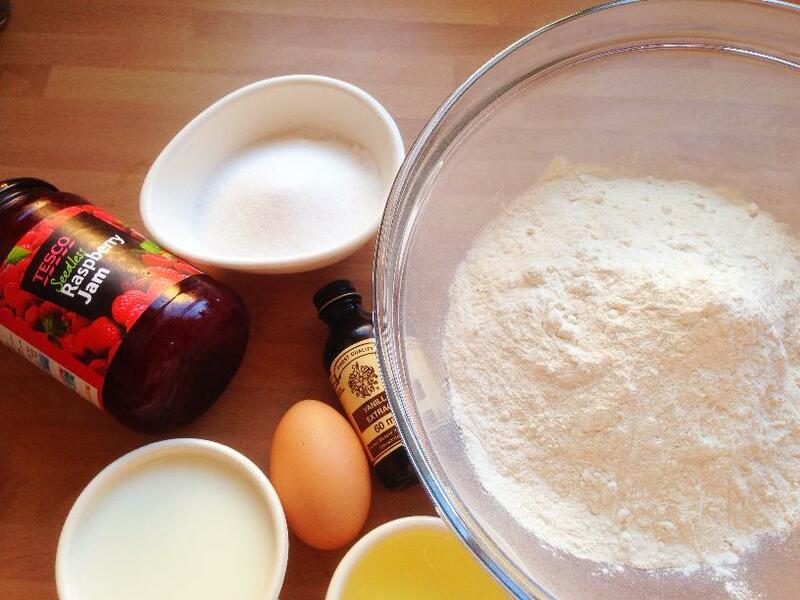 Weigh out your flour and sugar into a large bowl and give it a stir. 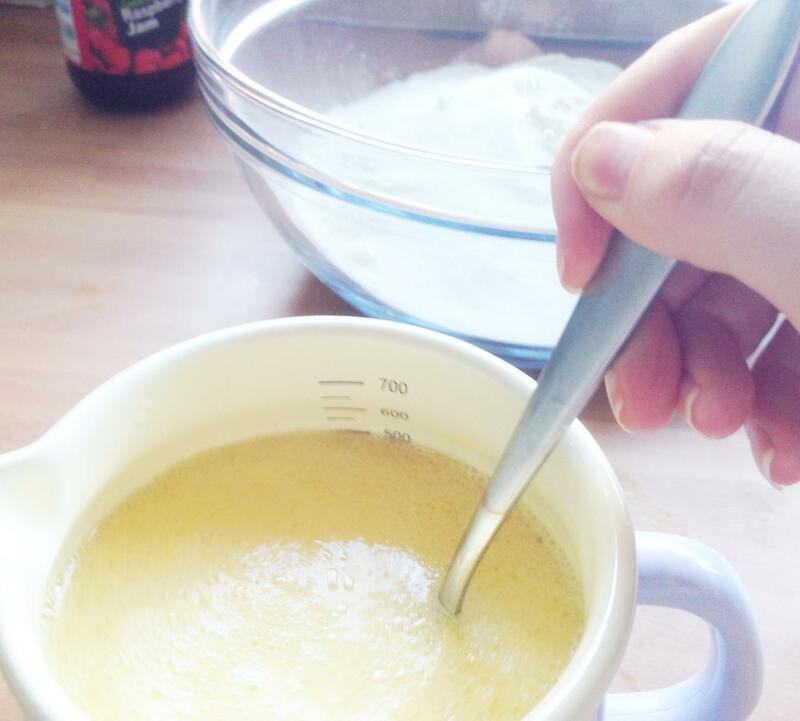 Add the contents of the jug and stir until it’s just mixed in–it should be a bit lumpy. 3. 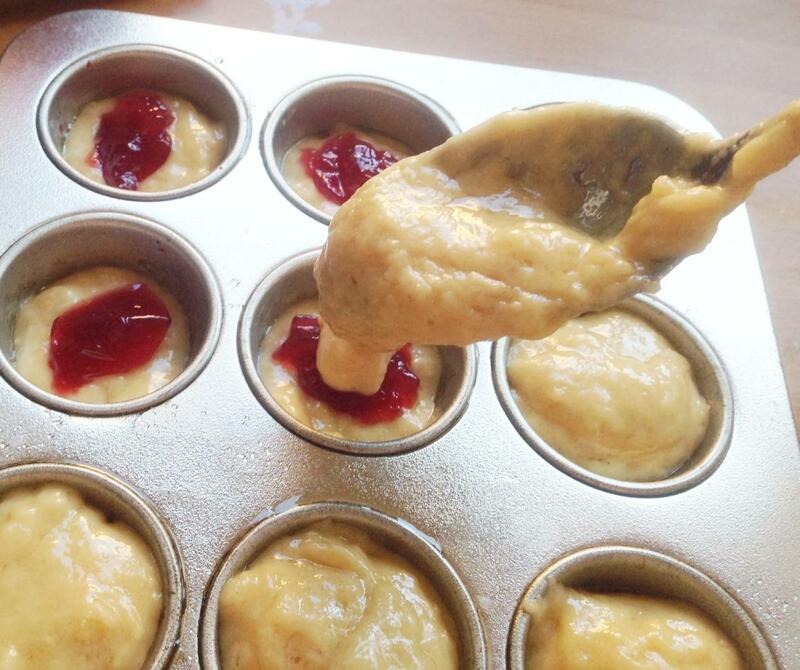 Make sure your mini muffin tin is well greased. Drop some mix into each hole until just under 1/2 full. 4. 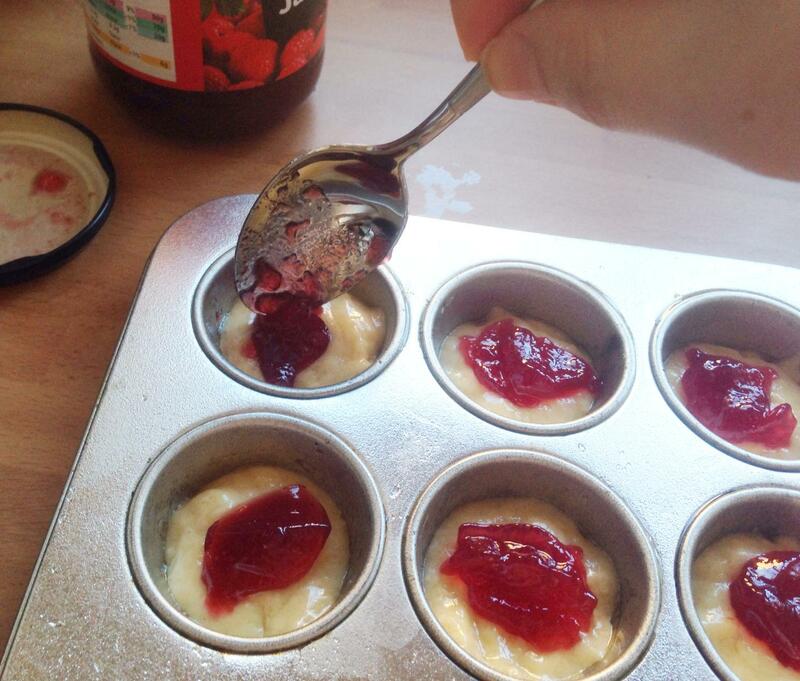 Use a teaspoon to pop a small amount of jam on top of each mix, keeping it away from the edge. You need about as much jam as a 4-dot Lego brick. 5. 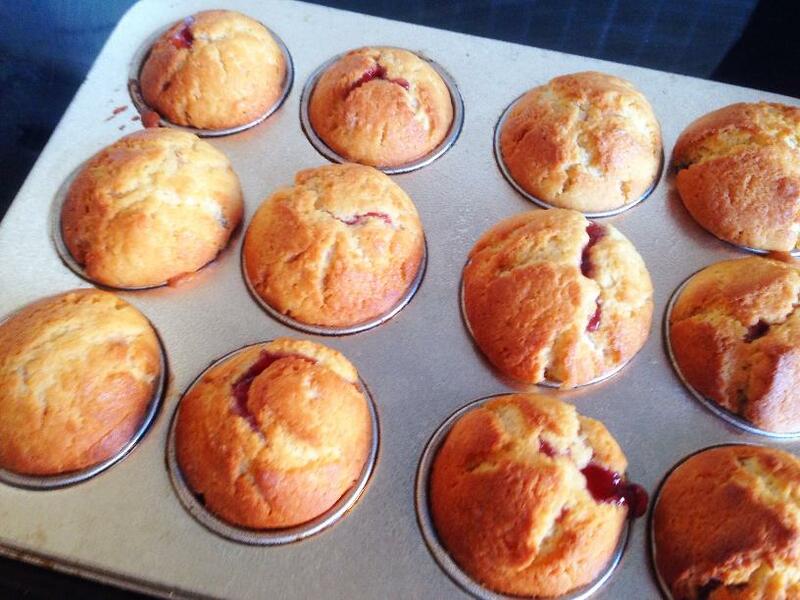 Cover up the jam with more muffin mix, filling it up to the top of the tray. 6. Bake for 20 minutes. While they cool a little, melt the butter and put the granulated sugar on a large plate. 7. While the duffins are still warm, dip them into the butter and gently shake off the drips. Roll in sugar straightaway. And you’ve made your duffins! Let us know what you think. Are they your favourite kind of doughnut?